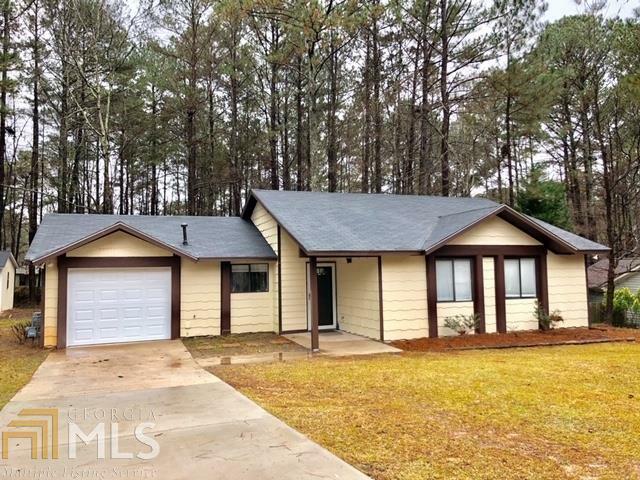 Updated 3 Bedroom, 2 Full Bath Ranch home located in private cul-de-sac in PEACHTREE CITY! NEW Paint throughout! NEW Smooth Ceilings! NEW Living Room Flooring! NEW Roof 2018! NEW Garage Door! Stone Fireplace in spacious Family Room! Large level yard with Outbuilding. Close to Schools, Restaurants, Shopping and Golf Cart/Walking Paths. Rare move-in-ready home in Peachtree City under $200000. Directions: Highway 74 South, Left On Crosstown Drive, Left On Cameron Trail, Left Into Peachtree Walk Neighborhood, Left On Dove Point. Home On Left.